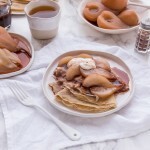 « Seasonal Sunday Lunch launch! Love, war, obsession, seduction, death. 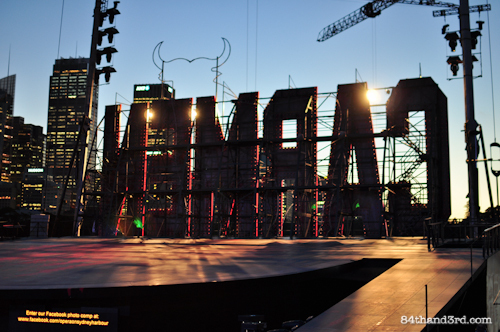 It pretty much covers the various events experienced in any opera, but throw in a bull fight, fireworks and a stage built in the middle of a harbour and all of a sudden a classic opera becomes an event not to be missed. 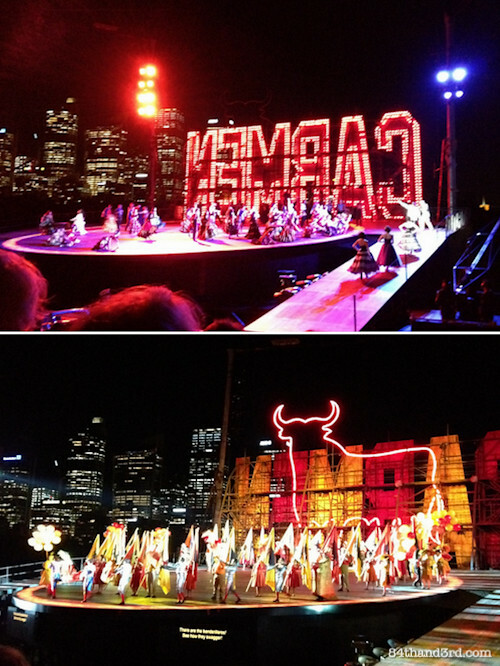 Last Tuesday evening RJ and I had an opportunity to attend the Handa Opera on Sydney Harbour production of Carmen. 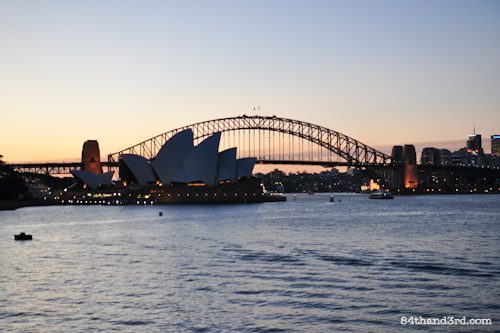 Despite my living in Sydney for almost a decade and RJ growing up here, neither of us had ever been to an opera performance. It was a perfect excuse to head out on a school night. Opera Australia’s 2012 experiment to “take opera beyond the theatre and weave it into the very fabric of the city” was a roaring success. 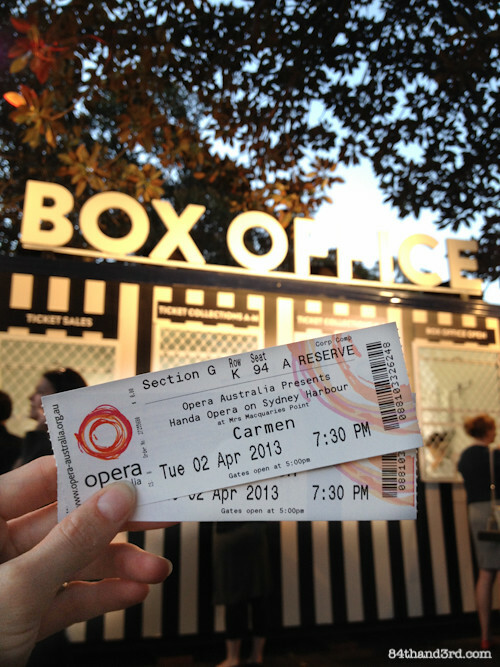 So much so that before last year’s 3 week engagement of La Traviata had even ended, plans for the 2013 season featuring Carmen had already been announced. 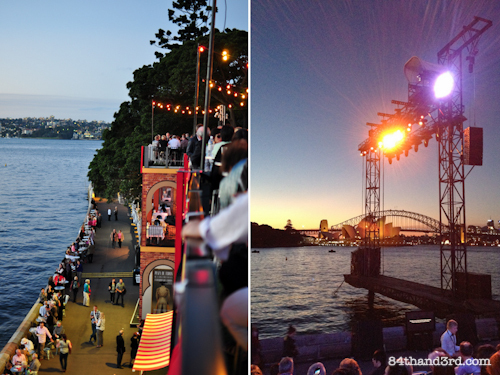 Located at Mrs Macquarie’s Chair on the edge of Sydney Harbour, the entire set – including the stage, 3000 seat grandstand and Spanish-castle style amenity buildings – were purpose-built for the event and will disappear once the season ends in just a weeks time. Set in Seville, Spain, Carmen tells the story of soldier Don Josè who falls under the alluring spell of a gypsy. He deserts the army and abandons his childhood sweetheart for Carmen, but when she moves on to another lover things go from bad to worse for everyone. Surprisingly, we recognised most of the songs in the show [thank you pop-culture] and although the opera is performed in French, screens just under the stage provide enough key translation that even without stunning French skills like mine [ahem, no. Three years of high school French and I can do is count to ten and order off a menu] you can follow the story as it progresses. 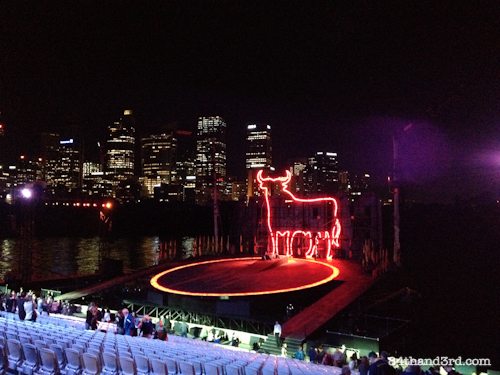 The enormous, deeply sloped stage is backed by a neon bull and 9 metre high letters shining the word CARMEN towards the Opera House. It supports between one and 80 performers for four acts, with full orchestra secreted underneath. It is only expected that a performance with such over-the-top staging and sound deliver on opulence at every level, and the costumes and props certainly step up to the challenge. Women sporting sequins and 1950s glamour, and Elvis-esque matadors swirling through the air are just the beginning. 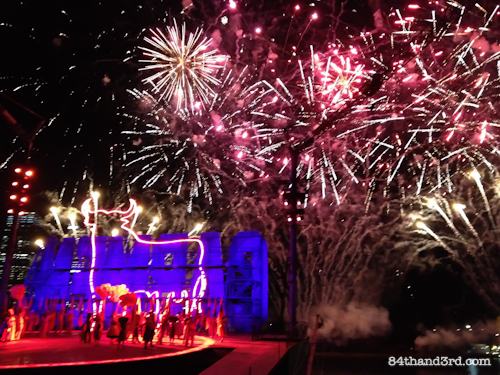 Parachute sized dresses swirl and billow, two cranes slide giant vehicles seamlessly around the performers, and in one of the later acts fireworks burst forth from the stage to light up the night sky. 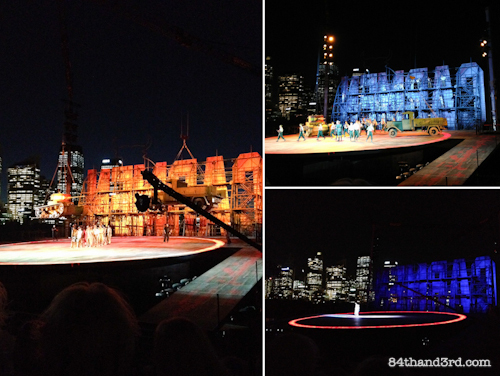 Carmen on Sydney Harbour is not just any opera performance, but a truly spectacular event. Yes this is a fabulous show but keep in mind that it is an opera where everything is sung in a language not understood by most of the audience. 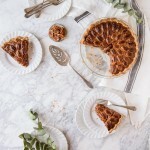 If you are worried about keeping up, read the story first then settle in and enjoy the ride. There is plenty of Spanish-themed food available to purchase in various areas around the venue and while it looked enticing it was dreadfully expensive, so other than a tiny $5 bottle of water we held off until afterwards. I’m not one to talk about venue bathrooms all that often but the facilities at the event were spectacular. A huge ladies-room queue during intermission moved more quickly than any I’ve ever seen due to plenty of clean, well stocked cubicles. Even the soap pumps at the sinks were impressive. RJ confirmed that the mens was equally well above par. The seats are truly grandstand style and the performance is approximately three hours long including an intermission… bring a blanket to sit on, trust me. If you want to experience an opera unlike any other, this is the outing for you – but it’s only around for one more week so best get a move-on. 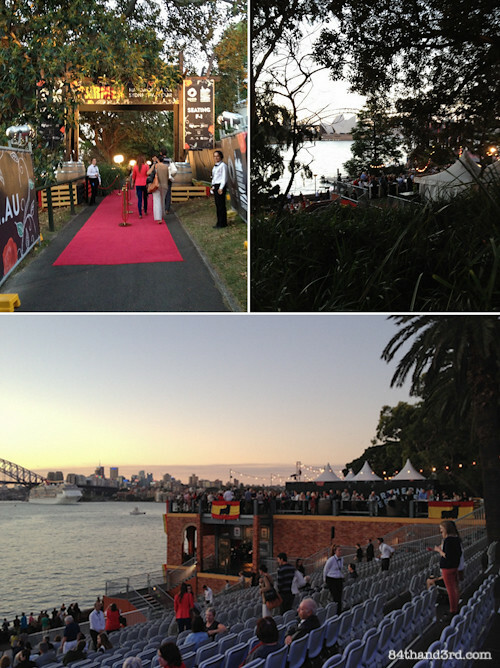 There are so many events that pass through Sydney each month, I’m really pleased we were able to attend this one. 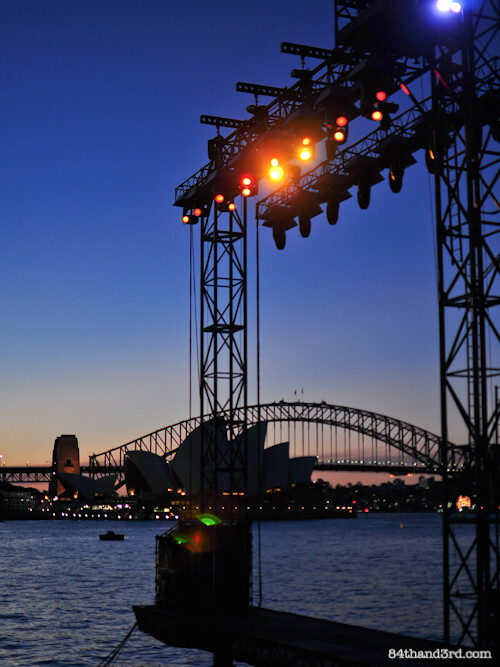 Handa Opera on Sydney Harbour: Carmen, runs from 22 March – 12 April but two extra shows on Saturday 13 and Sunday 14 April have just been announced. 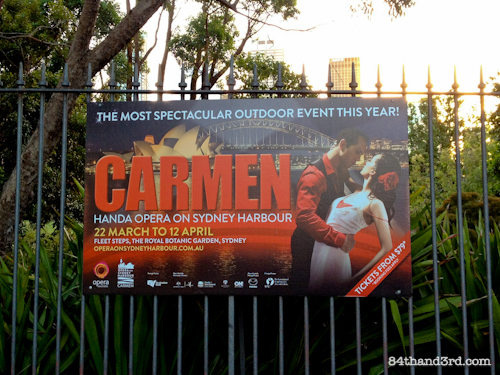 Tickets range in price from $79 – $295 and more information can be found at www.operaonsydneyharbour.com.au. What a wonderful school night out JJ! Sydney really comes out with some clever entertainment ideas. 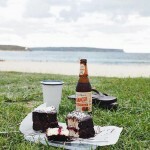 If only Brisbane could catch up. 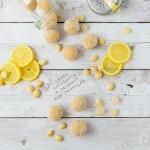 Love your extra tips too.